Here at the PiercingMetal.com Command Center we have never denied being lifelong comic book fans even though the occasional economic factor hits the budget and prevents us from keeping up with the story lines of our favorite characters. Anyway, I digress. Since the company’s inception back in 1934 as National Allied Publications they have come a very long way and offered the fans of fantasy and adventure some truly amazing heroes with Superman, Batman, Green Lantern, Wonder Woman and Flash being only the tip of a massive iceberg. They’ve had a Golden Age and a Silver One which entertained generations of fans with different versions of similar characters and eventually the massive amount of continuity and the numerous worlds upon which these legends walked was reworked to make more sense to newer readers in the epic title “Crisis On Infinite Earths”. That tale and its outcome was twenty six years ago and it seems the time was right to do it again. Introducing “The New 52”, a bold move by DC Comics to relaunch 52 of their titles with new beginnings after the conclusion of the “Flashpoint” storyline. 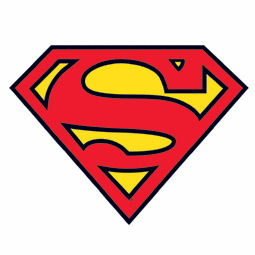 Superman: Action Comics #1; Superman #1; Superboy #1; Supergirl #1. *** Having only really read Superman’s titles as a result of the original “Crisis” storyline, I am interested in seeing how they have changed their signature hero this time around. I am happy to see a “Supergirl” title returning but am on the fence about a “Superboy” one. They’ve already killed and resurrected the Man Of Steel so he has a lot on his Kryptonian shoulders in terms of appeasing his longtime fans. There is so much more to Superman than Lex Luthor after all. Batman: Batman #1; Detective Comics #1; Batwing #1; Batman: The Dark Knight #1; Batman & Robin #1; Batgirl #1; Batwoman #1; Nightwing #1; Catwoman #1; Birds Of Prey #1; Red Hood and the Outlaws #1. 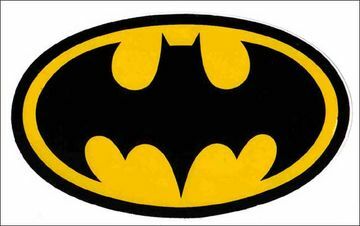 *** Batman was one of my first original favorites growing up. It was easy for this to be the case since we had the classic television show with Adam West. Yes I am vintage. I was a little surprised to find no less than twelve of the new issues being Batman related though. I guess the character is really doing well for the company and since his own mythos is so wide in scope that it makes sense. The titles I am the most interested in aside from his two staples of “Batman” and “Detective Comics” would have to be “Birds Of Prey” and “Batgirl”. The latter will likely cause the most controversy based on its finding Barbara Gordon all healed and back to action after being paralyzed by The Joker almost two decades ago in “The Killing Joke”. “Catwoman” only needs to be as interesting as I found the Jim Balent run on her book some years ago. That was great in my humble opinion. 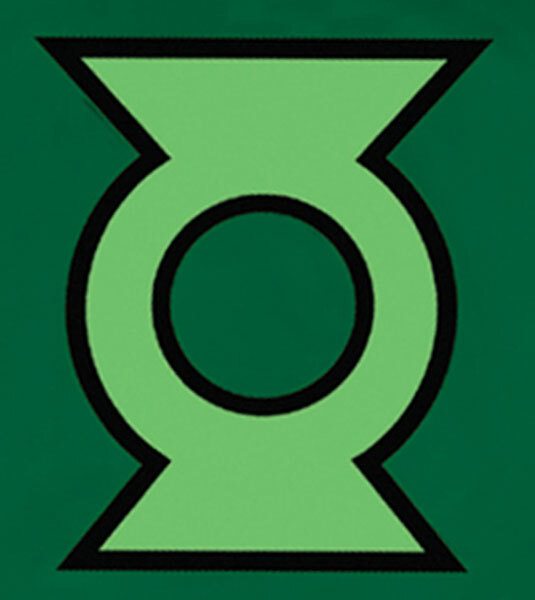 Green Lantern: Green Lantern #1; Green Lantern Corps #1; Green Lantern: New Guardians #1; Red Lanterns #1. *** I guess the recently released “Green Lantern” movie made the brain tank at DC Comics feel that the character merits some titles outside of the “Justice League” encapsulation but four titles? That does seem to be a bit much. I still have to see the movie but guessing at this point I will wait for the DVD as its going to be available soon enough. Some of my friends loved it while others hated it completely. The Corps as a unit might merit a title but the other two I am scratching my head about. Justice League: Justice League #1; Justice League International #1; Aquaman #1; Wonder Woman #1; The Flash #1; Captain Atom #1; The Fury Of Firestorm #1; Green Arrow #1; The Savage Hawkman #1; Mister Terrific #1; DC Universe Presents #1. *** I was an on and off reader of “The Justice League Of America” in the pre-Crisis universe but less and less as it went on. It just did not hold my interest again until it was relaunched as “JLA” in 1997. Next to the Batman line of titles this whole batch seems to pique my interest the most. I am of course very upset to see nothing related to The Justice Society which was a title that I was greatly enjoying over the years. As long at the main title keeps the classic lineup of team members the book will likely remain interesting. “Aquaman” always seems to lose people but I think this “DC Universe Presents” has a lot of promise if it works like a “Showcase” title and gives us not only a great character from time to time but also a well written and drawn story. The Dark: Justice League Dark #1; Swamp Thing #1; Animal Man #1; Frankenstein: Agent Of S.H.A.D.E. #1; I, Vampire #1; Resurrection Man #1; Demon Knights #1. *** The Dark appears to be the monster mash of the new launches and the whole bunch comes to me as a curiosity. “Swamp Thing” will have the most to do to impress the fans because this character was never better than in the hands of writer Alan Moore to many fans. I enjoyed “Animal Man” before it became a very strange title and “I, Vampire” was something I loved when it was published as shorts in the back of the “House Of Mystery” comics but this is likely a brand new incarnation using the same name. That makes me wonder if they ever collected all of the original tales into one volume. Hmmm. “Resurrection Man” was also something I liked but it went off course too quickly and was eventually cancelled. “Justice League Dark” seems self explanatory and does showcase Deadman on the cover so its likely the more mysterious members of DC Universe as a darker version of the famous team. Could be interesting if they employ the powers of The Spectre, The Phantom Stranger and perhaps even Mr. Bones from Infinity Inc. (remember him?) going forward. I’d like that. The Edge: Stormwatch #1; Voodoo #1; Grifter #1; Deathstroke #1; Suicide Squad #1; O.M.A.C. #1; Blackhawks #1; Men Of War #1; All-Star Western #1. *** Apparently the characters from The Wildstorm Universe are now inter-mingled with that of the traditional DC Heroes and I am really curious to see how that works since so many of those were from a bleak future existence. “Stormwatch” was a solid team and I always liked the character of “Grifter”. To me he was the Wildstorm version of “Deathstroke” and now each of these chaps has their own title. I loved the original “Suicide Squad” when it was published in the post Crisis days so let’s see what they do with that one. Judging by the cover, I will gather that “All Star Western” will feature Jonah Hex. Maybe they will even bring back El Diablo as I loved the mystery of that character. Young Justice: Teen Titans #1; Static Shock #1; Hawk & Dove #1; Blue Beetle #1; Legion Of Superheroes #1; Legion Lost #1. *** The last I knew of the character, Blue Beetle was involved in The Justice League International and had nothing to do with a younger generation of characters. I wonder what they did here. “Static Shock” originally comes from the Milestone Comics universe but I guess over the years they have morphed some of that continuity into the existing DC Comics happenings. I am interested in “Hawk & Dove” from this line the most and maybe to see if I can finally dig into and appreciate the “Legion Of Superheroes”. Some friends have sworn by it, but it was truly never my thing. I was amused at how the original “Young Justice” title was one that featured what amounted to a Junior Justice League. There were some highlights to that one. My plan is to try and get a hold of the whole batch of premiere issues and offer up blog postings on each grouping to let you know what I think as a long time supporter of the medium. Please stay tuned for those postings and be patient as we shall be endeavoring to do this while also keeping up on our Concert Coverages and Metal Music adventures. I wish DC Comics the best of luck with this relaunch and wonder what some of you PiercingMetal readers are the most excited about from the whole lot of them. Speak to me. All of our blogs about these titles can easily be found via this tag = https://www.piercingmetal.com/?tag=the-new-52 and should you want to read the “Flashpoint” series that led up to it, you can order any one or all of the collected volumes presented below. Wow, thanks for the thorough coverage. BATMAN! Looking forward to more blog postings on these. What I always liked – but then I knew folks who did independent comics and after reading their work lost interest in mainstream comics well, except for the little Impact series – was one-off mini-series of 4-6 issue stories of a particular character or event. Picking up issue #365 of something is intimidating, and on some level, having to pick up an issue of each of the different Batman comics to complete some arching story. A little couple month series I like. My boss is a comic fan so we’re always talking about this new look (plus we sell action figures on amazon). I think it’s too much. Tying into what I said above it does get people who feel intimidated by 50 year old storylines … but, if you’ve been following the stories all these years, now it’s all different and you’ve just been left out in the cold. You can’t alienate old fans. But, then, they’ve changed the characters too many times (I always like Aquaman after all the changes I lost him, like so many others have). I see why they’re doing it but … I just don’t know … I just don’t know. If you’re a lesbian or black or whatever are you know going to go to the comic book place every month just because there’s a lesbian character? Yeah, you might pick up an issue or two but a million people picked up an issue or two when Superman was killed … where are those million now? They didn’t keep reading. Going to perhaps try and check into a few of the Batman issues, but honestly, there’s so many of them and with the price of comics these days, it’s hard to keep up. Interesting to see that DC though is willing to change things up a bit. Taking off my comic book pro garb & speaking as a fan: this blows. It ejects decades of continuity to put the characters more in line with their film versions. Do I really want THAT Green Lantern? The one that blew old donkey scrotum? Also – when they are released to the shops, they are simultaneously available digitally. DC’s way of saying “Up YOURS comic shops!” Bad all around. I guess they hated the idea of hiring actual writers & are attempting to be Image Comics circa 1990s! Up up and awaaaaaay! DC: Dull Comics. So many new titles being released/relaunched-you have to hope that DC knows what they are doing here. For someone like myself who basically stopped reading new comics back in the early 80?s, I was initially intrigued to perhaps start ‘fresh’ with some of these new books, but there are so many of them and with the current price per each, it’s an expensive proposition.